Procedures for Joining :: Liphook is a traditional golf club with one of the best courses in the country. Opened in 1923, the course was soon recognised by the R&A as an exemplary inland heathland course and is also an early example of strategic design for golf courses. A member wishing to propose or second a candidate must be of at least 3 years standing. A proposer and seconder must have known the candidate personally for at least 3 and 2 years respectively. If a candidate does not know any current members of the Club, they may be supported by the Committee. 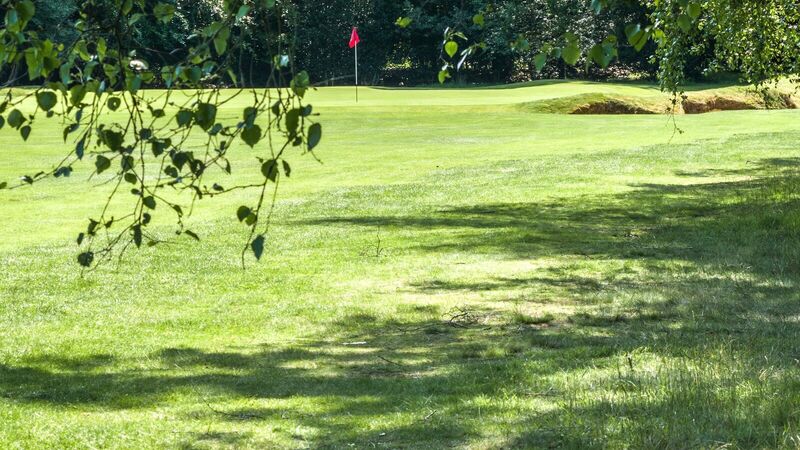 All candidates must have a handicap no greater than 28 (male) or 36 (female) at another club, or must provide 3 cards to the relevant standard marked by any Liphook member. 1. Candidates complete a Membership Application form (obtainable from the Secretary). 2. The proposer and seconder both write letters of recommendation and submit these with the form to the Secretary. 3. The proposer seeks the support of at least two members of Liphook who have either played with the candidate at Liphook or are otherwise prepared to support the application and sign the form. 4. Candidates are invited to be “played-in” by two members of the Committee, unless the Captain and Chairman of the Membership Sub- Committee agree that the candidate has already played with 2 or more Committee members and that a separate “playing-in” is unnecessary. If the playing-in proves satisfactory, the candidate, together with the proposer and seconder are invited to drinks with members of the Committee. 5. Successful applicants will be notified by the Managing Secretary and after payment of the relevant sums and a short introductory briefing, membership usually starts on the first day of the month following the Committee meeting. 1. Introductory Membership is available to beginners and to former golfers who are no longer members of a golf club and are unable to meet the handicap requirements. Under this friendly and inclusive scheme, candidates are supported by a mentor and play is arranged with both Full Members and other Introductory Members, with a view to assisting the candidates in reaching the required standard. 2. Introductory status is offered initially for a period of 18 months but may be extended if there is evidence of the candidate’s efforts to achieve the required standard. During this time the aspiring golfer is expected to undertake a series of lessons with the Club Professional or his Assistant. 3. The submission of an application follows the first 3 steps of the procedure described for Full Playing Membership. When the appropriate handicap is achieved and the playing-in is satisfactory, the candidate proceeds towards Full Membership. 4. When offered Full Playing Membership, Introductory Members become liable to pay the Entrance Fee applicable at that time and the appropriate proportion of the full subscription for the year. Two options are available - one for those who live between 35 and 49 miles by road from the club and one for those more than 50 miles away. In both cases, measurement is by the shortest route. Application procedures are the same as for Full Membership. The rules for this class of membership, and the procedures to be followed, mirror those for full membership but without the handicap restrictions and the “playing-in” process. All new members receive a short introductory briefing from the Secretary that touches on competitions, roll-ups, matches and other means of becoming fully integrated into the Club.